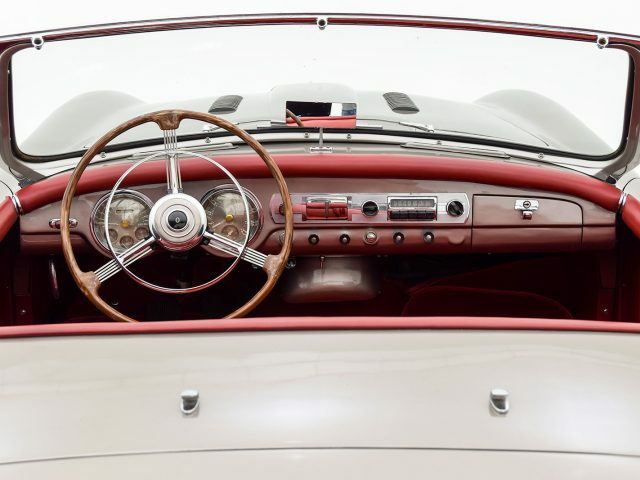 In 1951, aboard the England-bound Queen Elizabeth, an unlikely and chance meeting occurred between two men at the polar opposite ends of the automotive industry. 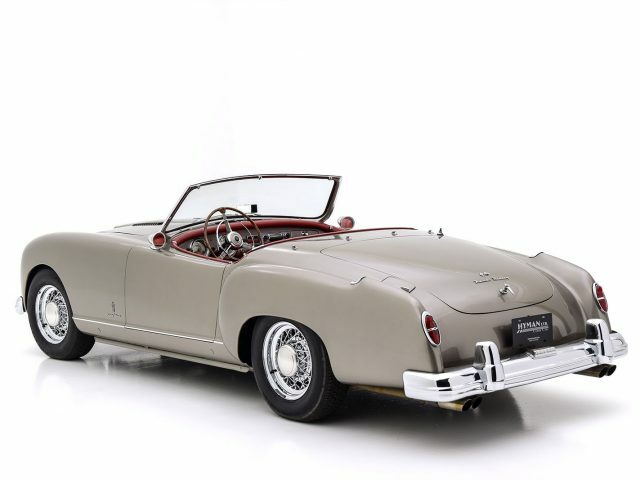 Nash-Kelvinator’s rather conservative president, George W. Mason crossed paths with British sports car builder and expert self-promoter Donald Healey and the two men found they got along quite well. 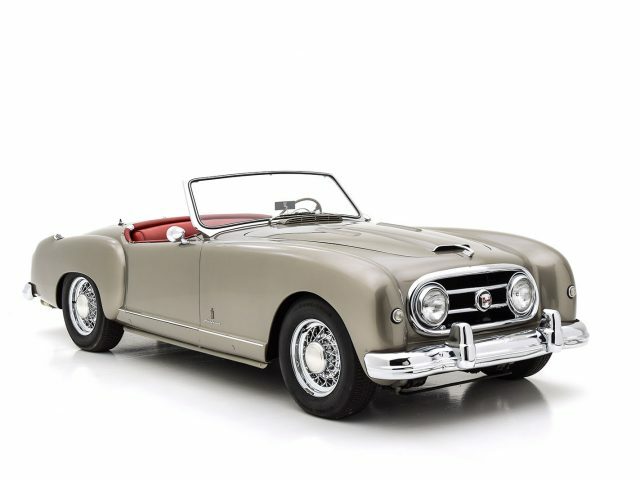 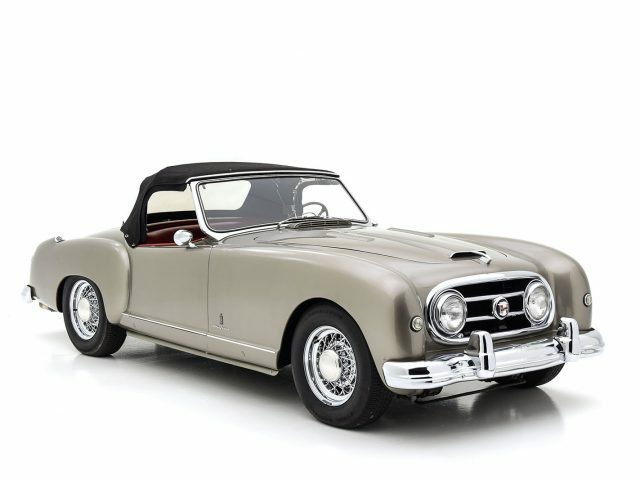 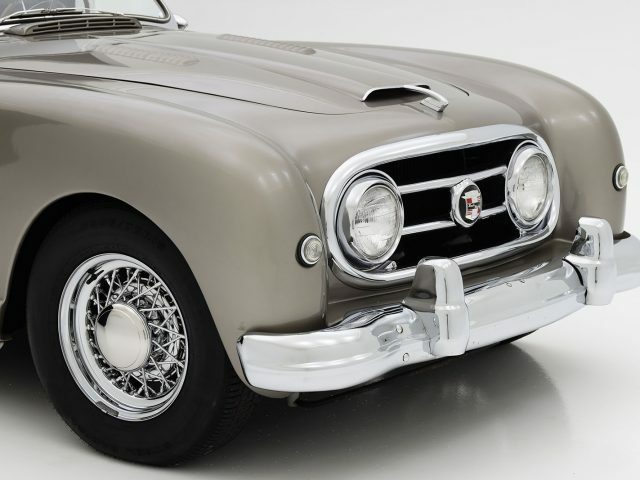 Healey was fresh from an unsuccessful meeting with GM where he was attempting to procure a run of Cadillac V8 engines to drop into the Healey Silverstone sports car. Cadillac had no interest in Healey’s project, but George Mason was considering ways to lift the somewhat stodgy Nash lineup, and a sports car seemed like just the ticket. 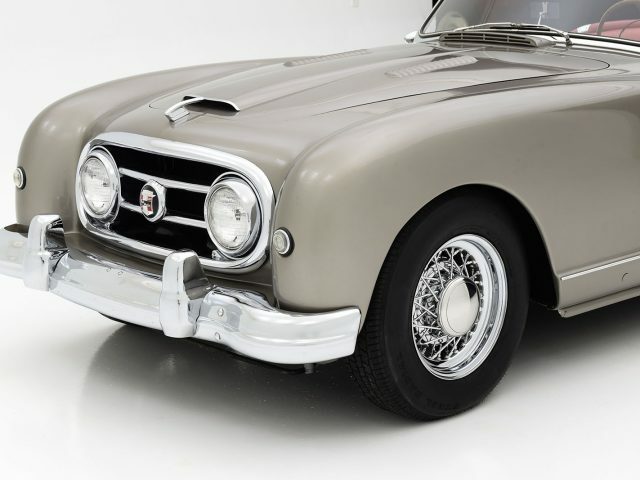 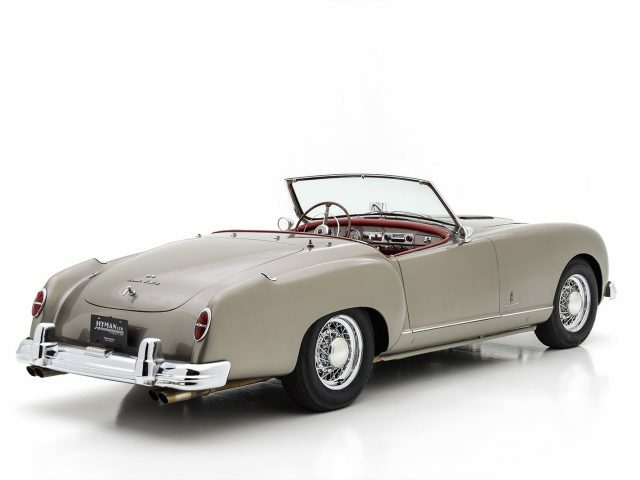 A deal was soon made between Nash, who would supply Ambassador six-cylinder engines and Donald Healey, who would clothe and assemble modified Silverstone chassis in England. 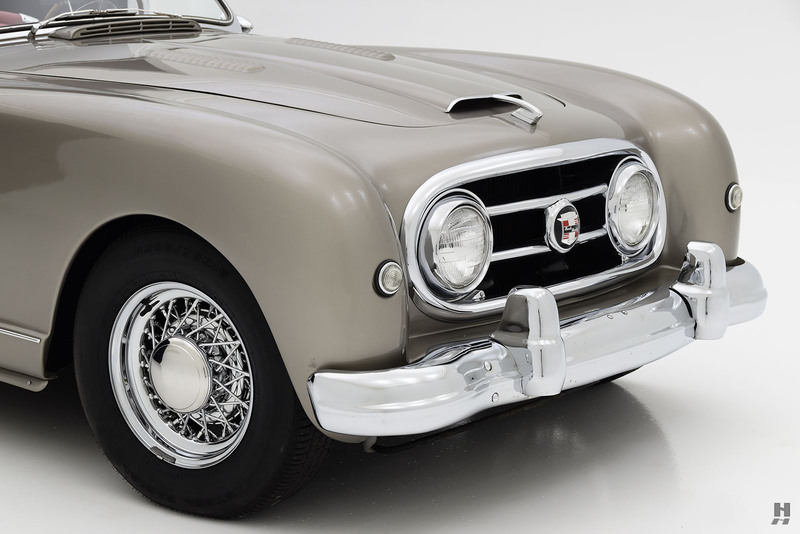 With that, America’s first post-war sports car, the Nash-Healey, was born. 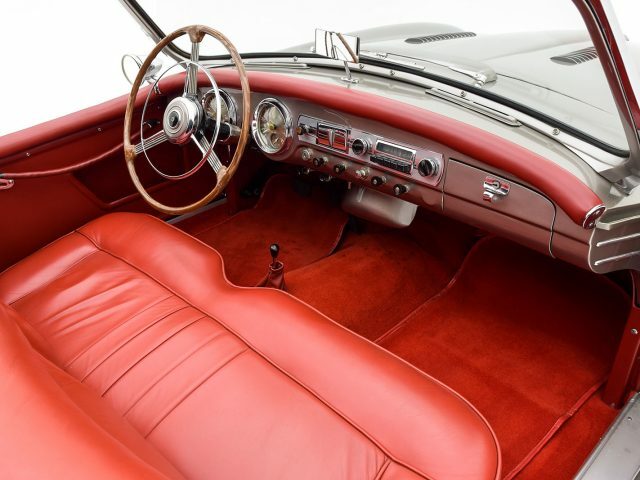 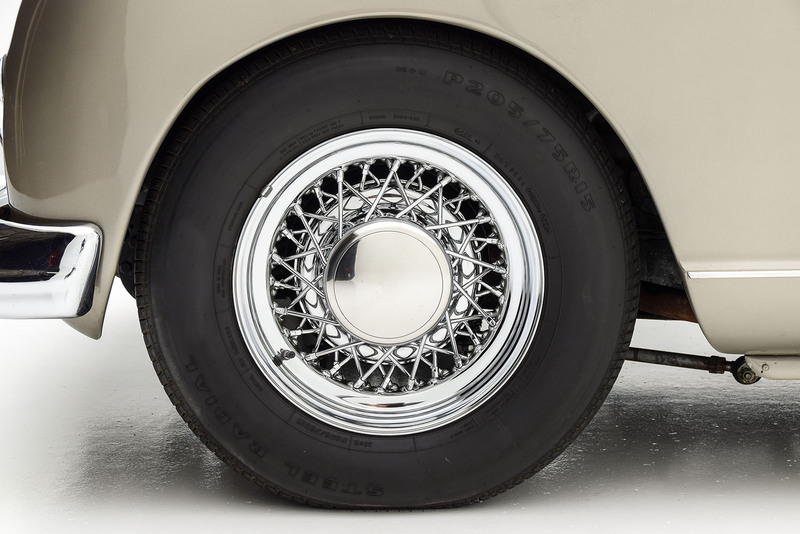 The first run of cars wore an alloy body designed by Healey and built by Panel Craft in England. 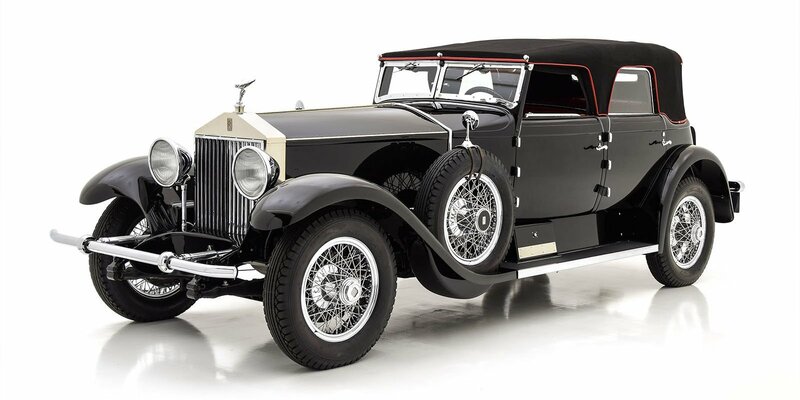 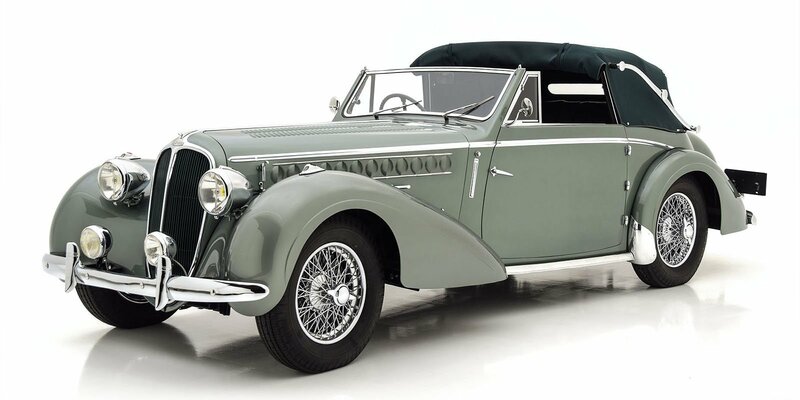 They were assembled at with Nash inline six cylinder engines and shipped back to the US. 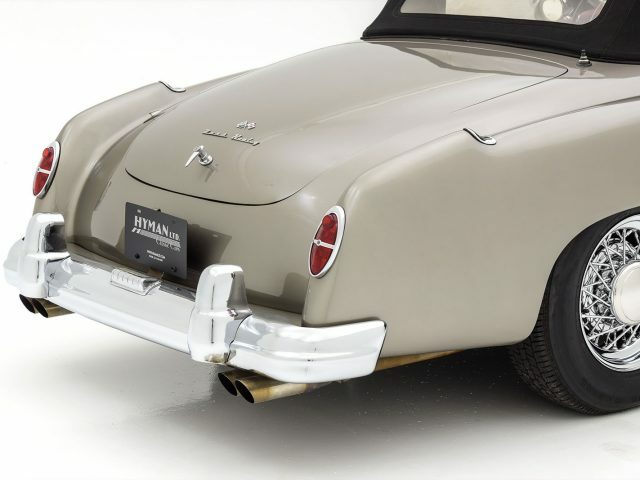 It was a lovely car but for 1952, Nash wanted something with a more cohesive look that fit with the rest of their lineup. 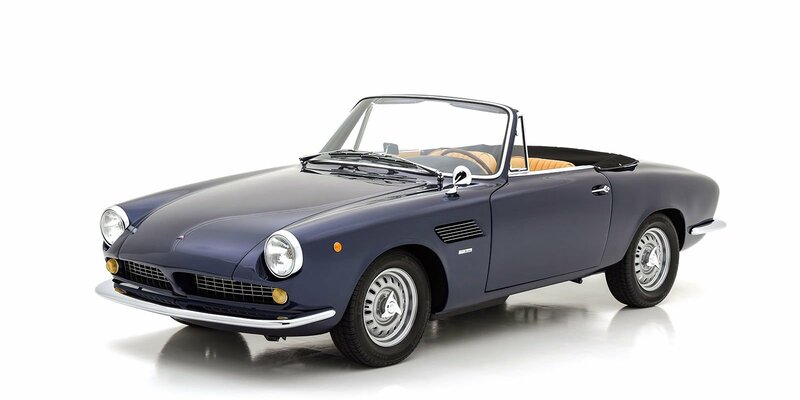 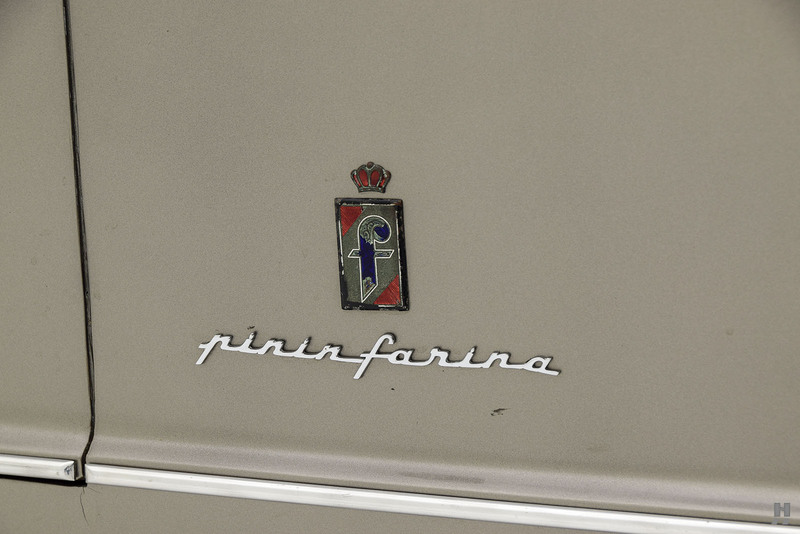 So yet another unlikely partnership was formed with Pininfarina of Italy, who was contracted to design and build the new body. 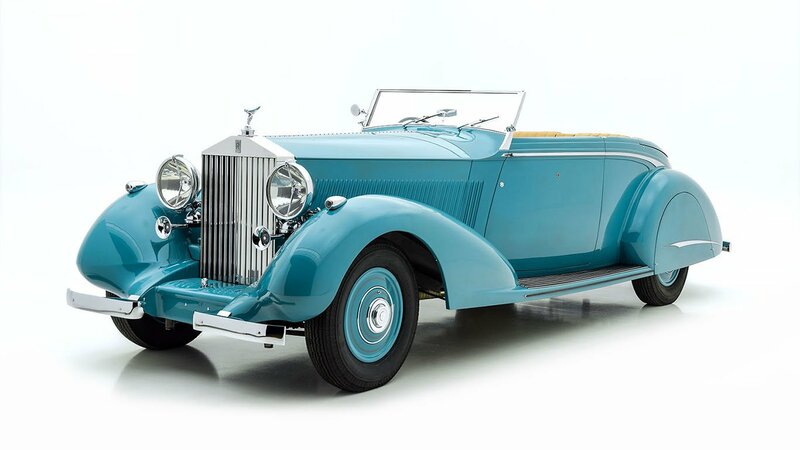 As one would expect, building the car in three different countries was a very costly endeavor. 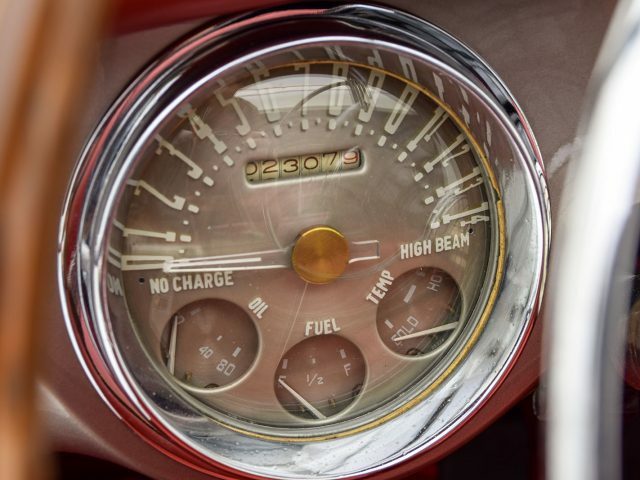 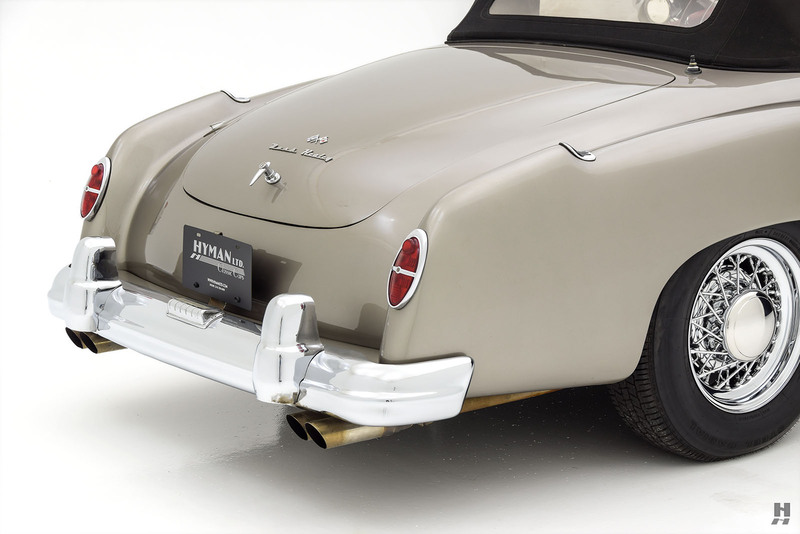 In 1953, the Nash Healey cost $5,908 compared to the Corvette’s $3,513. 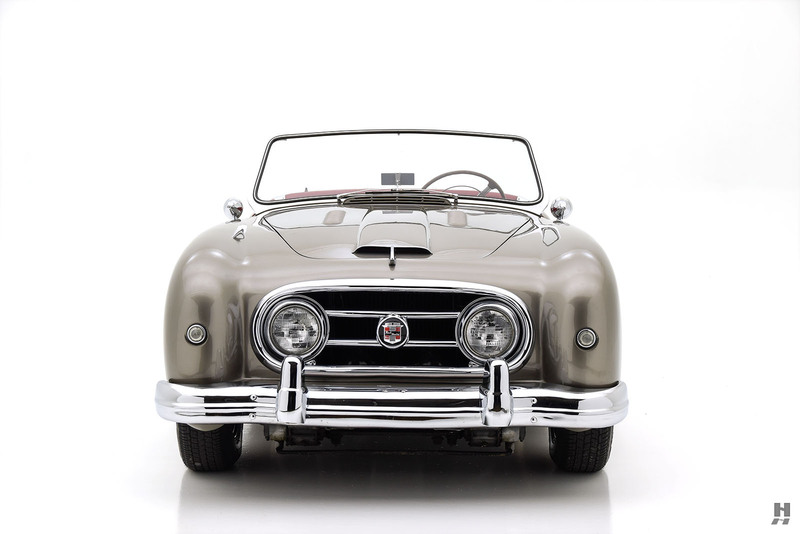 Healey soon moved on to focus his efforts on the home grown Austin-Healey and sales of the Nash sagged. 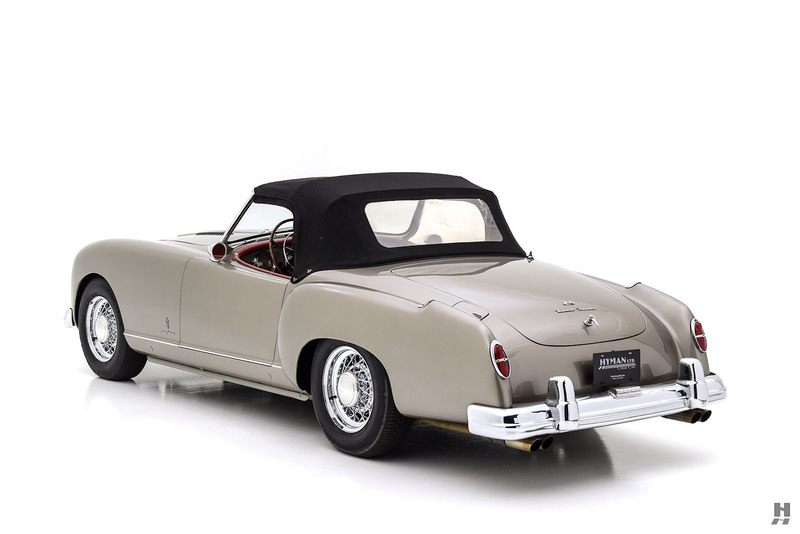 Despite the addition of an attractive coupe to the lineup, the Nash-Healey did not survive past 1955 when the last few leftover ‘54’s were sold off. 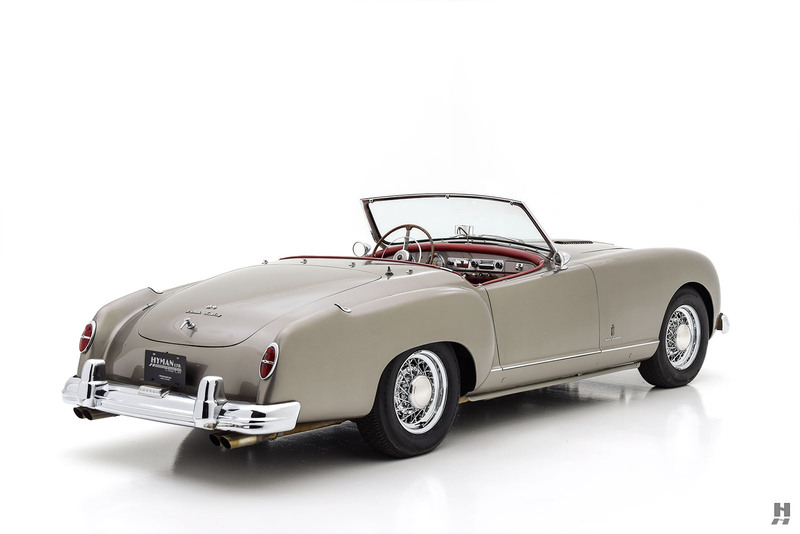 Only 507 were built in total, including the 90 LeMans Hardtop coupes. 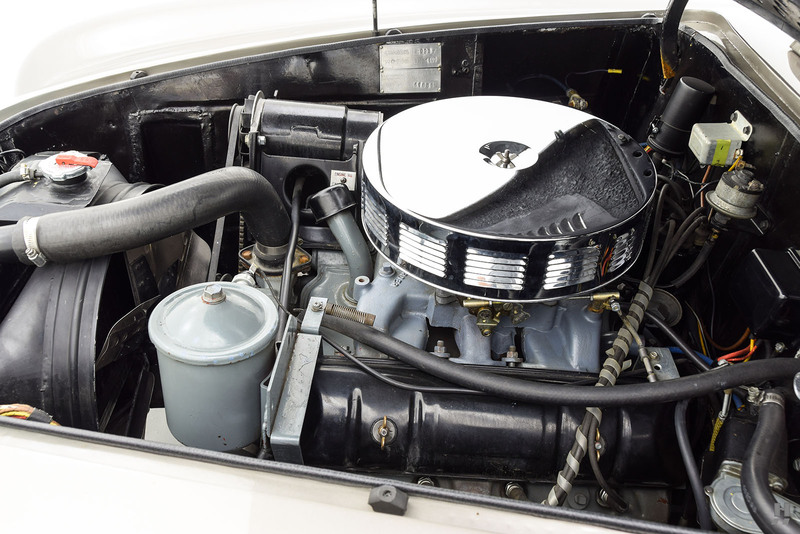 Some owners complained that the six-cylinder Ambassador engine lacked grunt, including Edmund Anderson, chief stylist at Nash and later AMC. 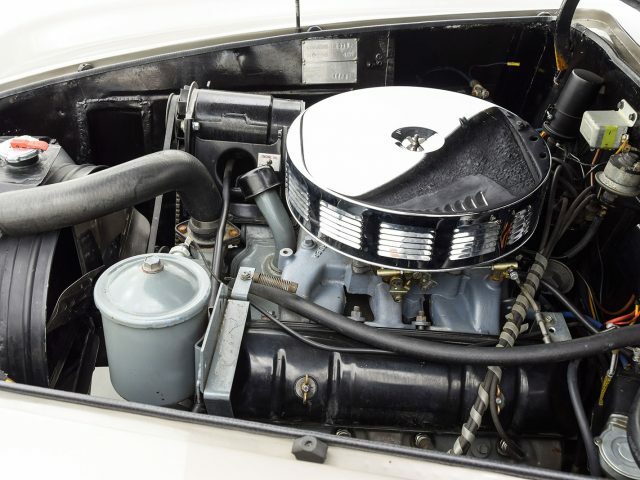 An avid sports car fan and a member of the burgeoning Sports Car Club of America, Anderson saw room for improvement in his car, and he experimented with supercharging, and later fitting a Hudson Twin-H-Power six. 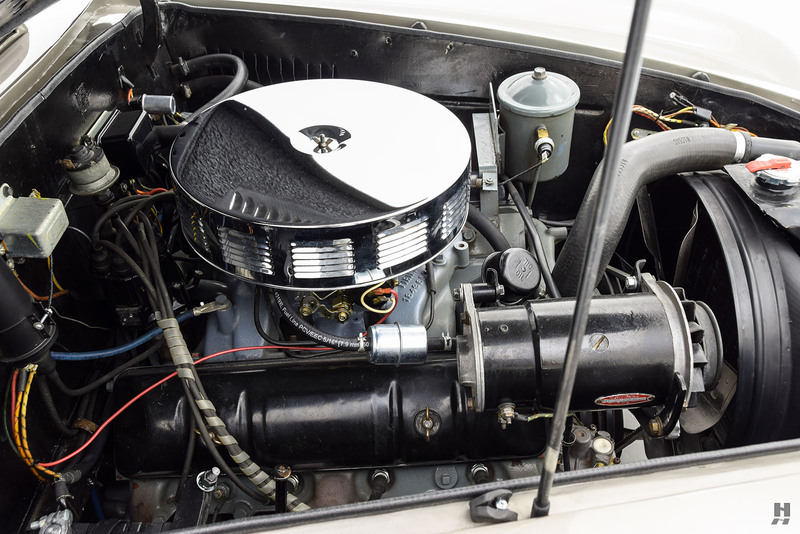 Nash was in negotiations to merge with Packard to form AMC (which ultimately did not come to pass), so he snagged one of Packard’s newly designed 327 cubic inch V8s that Packard agreed to supply to Nash for the Ambassador Special. 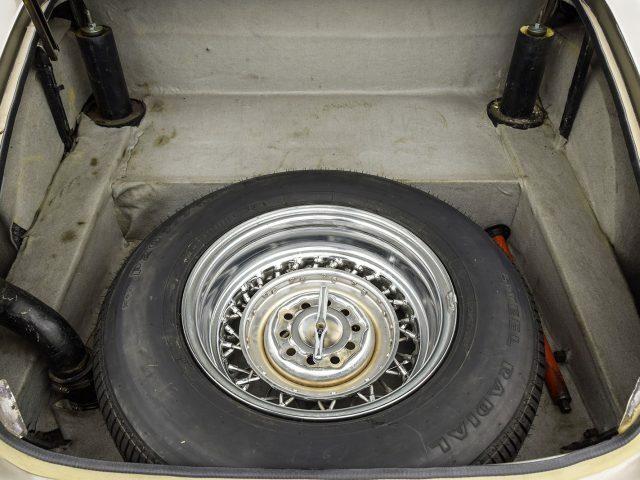 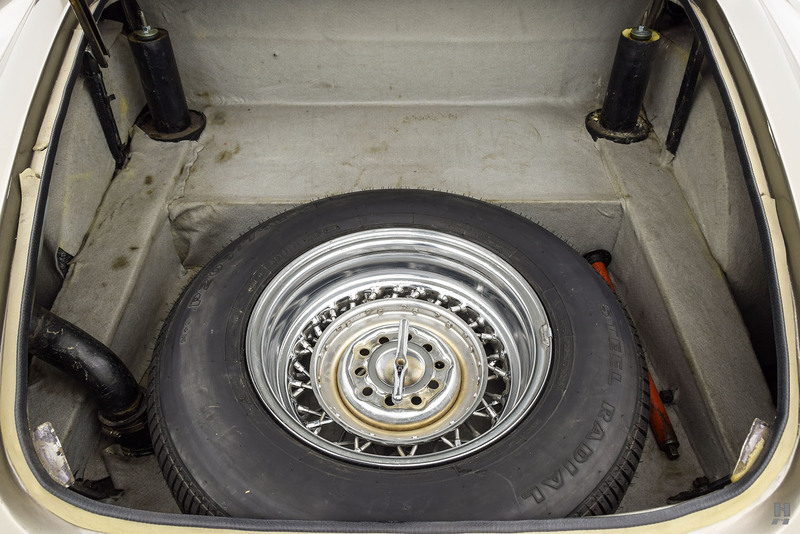 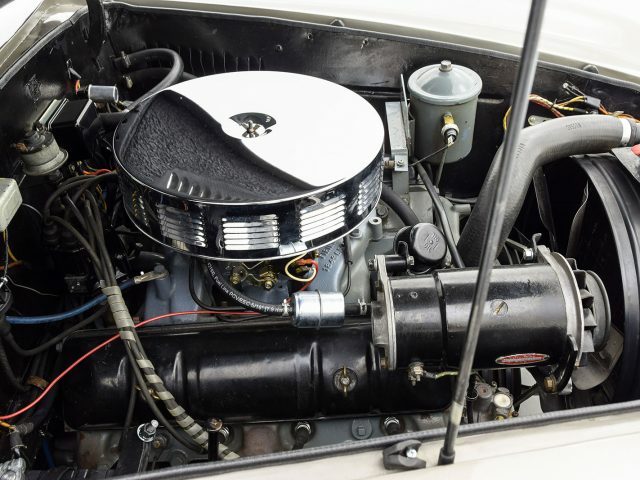 Surprisingly, the engine fit the Healey chassis with minimal effort. 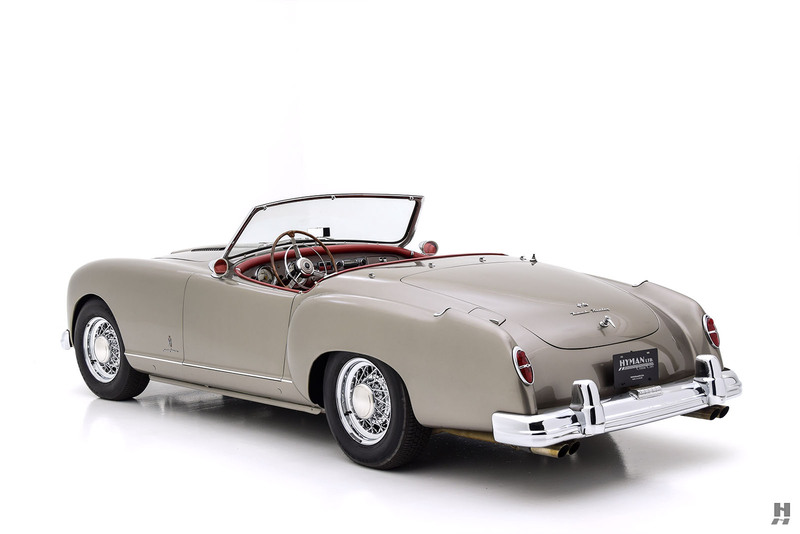 Anderson was so impressed that he shared the results with engineering, who would go so far as to get the factory’s blessing to publish an official manual to help customers fit the new (Packard) Nash V8 engine to their Nash-Healey roadsters. 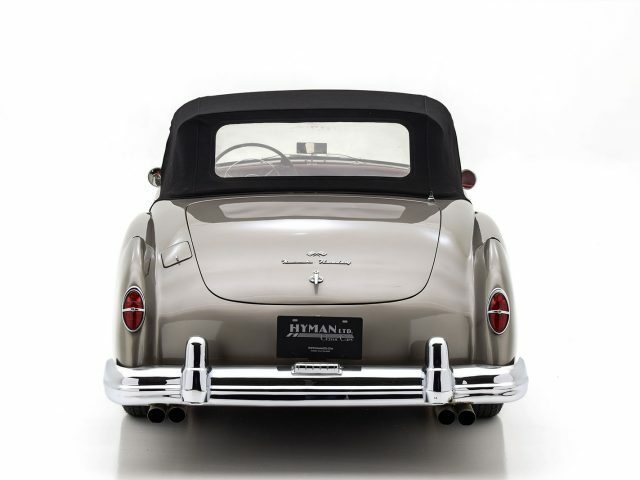 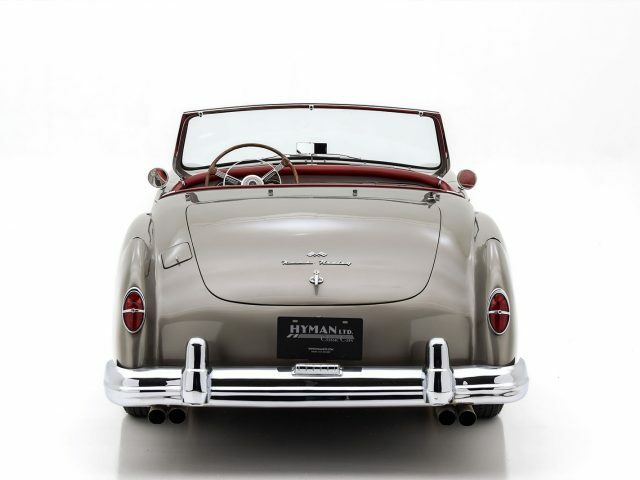 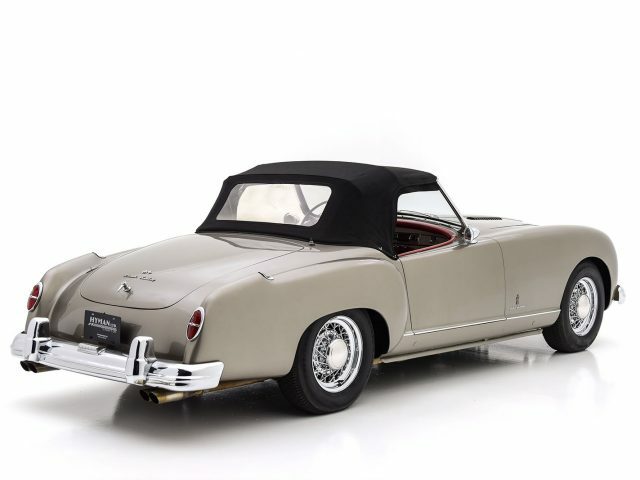 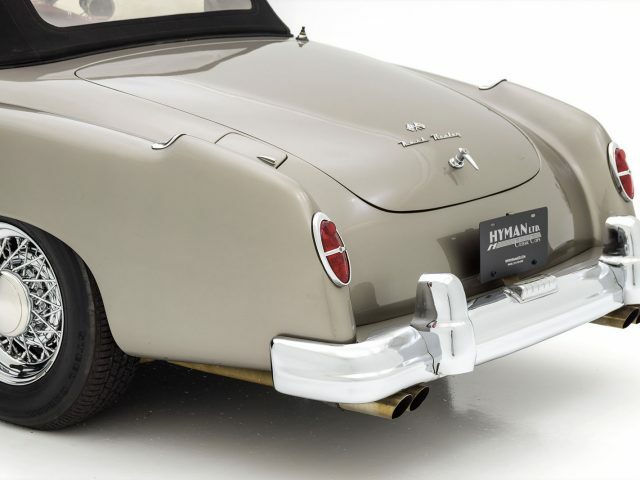 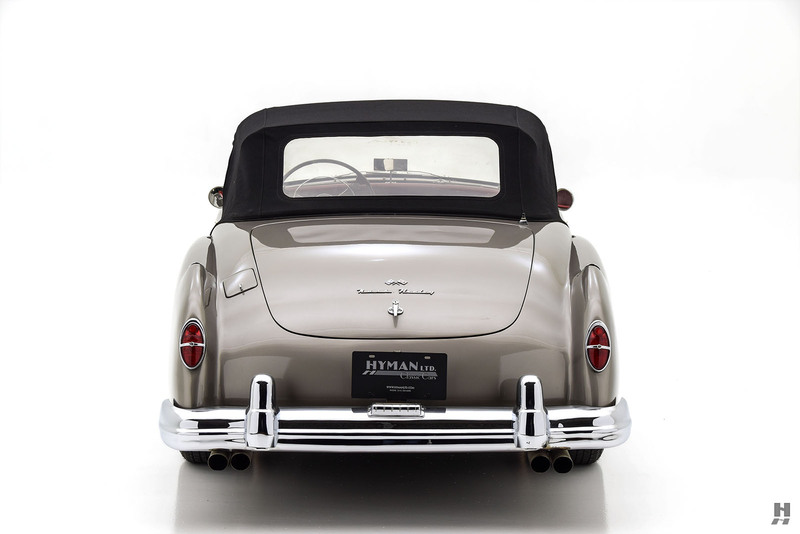 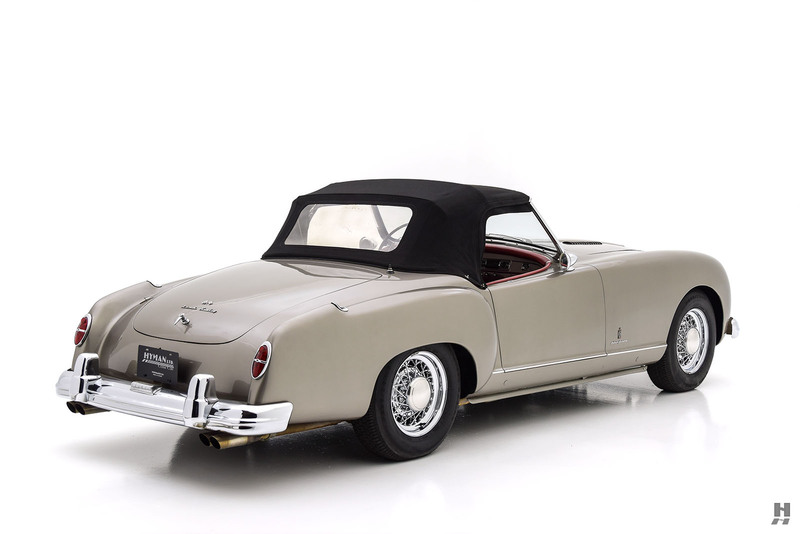 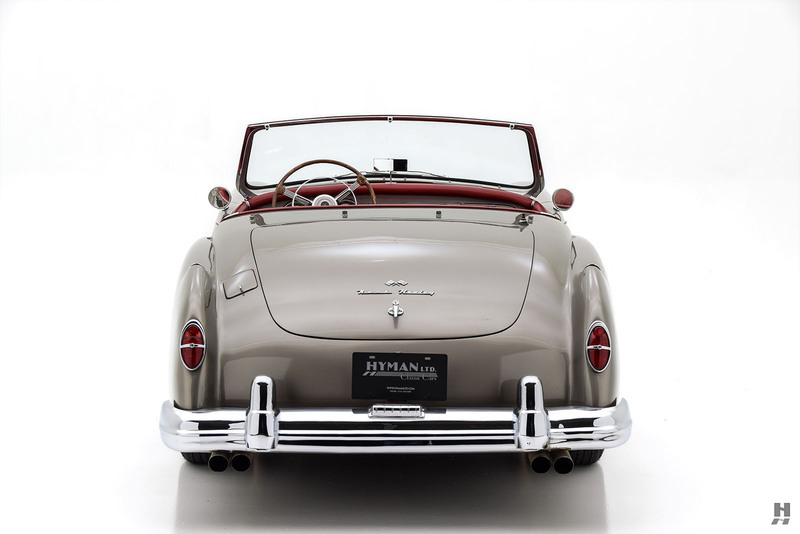 This 1952 Nash-Healey roadster is an early production model that is one of a handful of cars converted to run the Packard-designed Nash Ambassador Special V8. 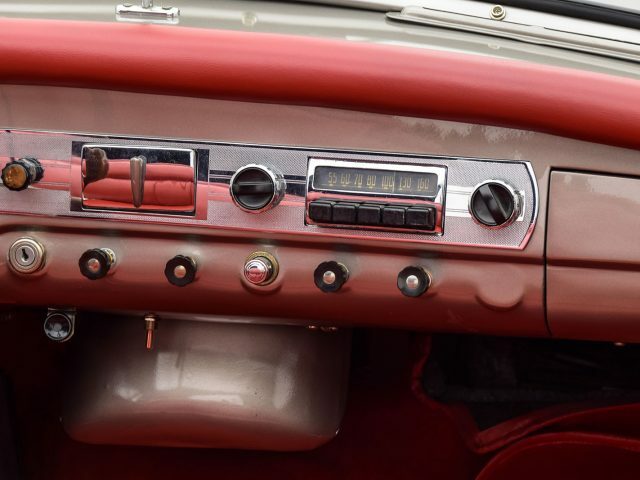 Over the years, a number of these cars have been modified with Chevy or Cadillac engines, but very few are known to run this factory-sanctioned conversion. 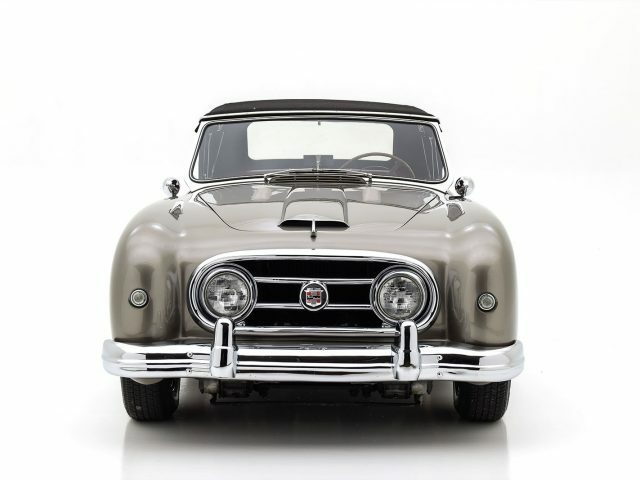 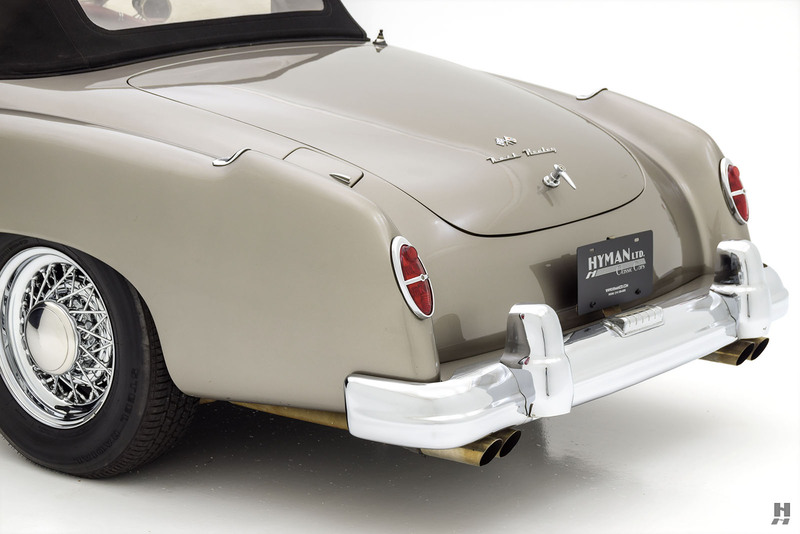 Outwardly, there is little to differentiate this from a standard Nash-Healey with the exception of the louvered hood and subtle dual exhausts, and the engine installation is tidy and neat. 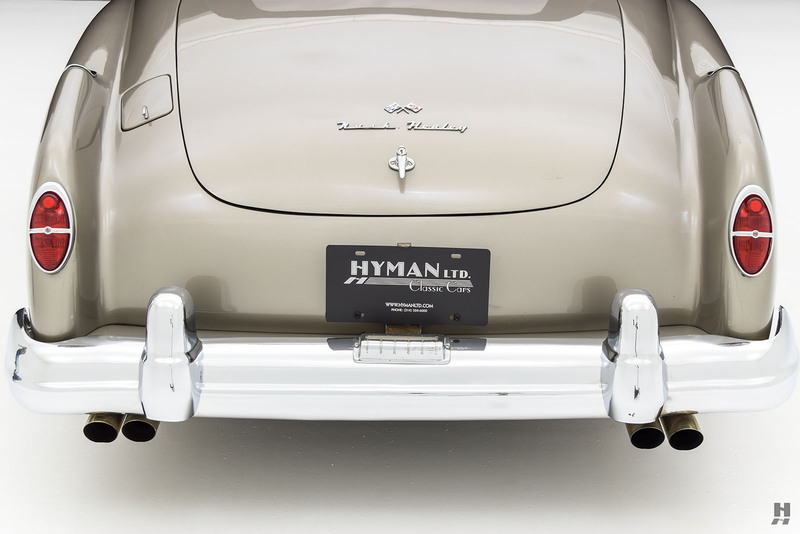 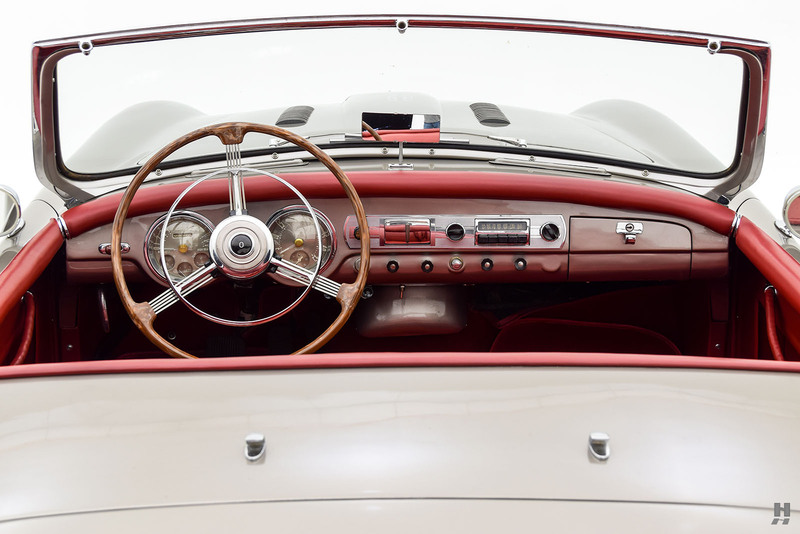 This car’s history is known back to the 1950s, having spent its early life in California. 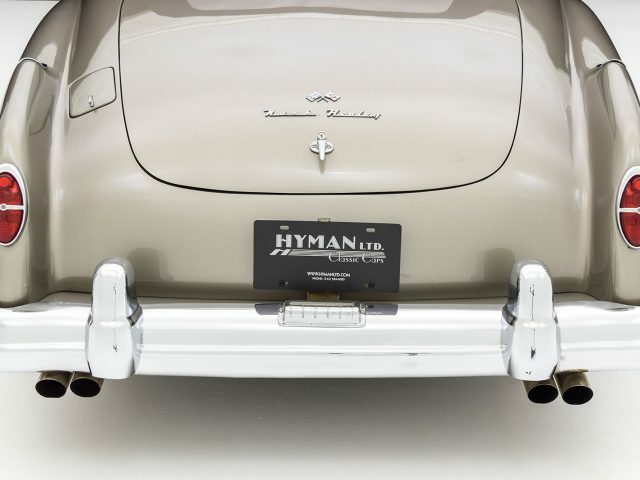 Registration documents go back to 1958 when the car was owned by Warren Drew of Burbank, who is believed to be the original owner. Mr. Drew clearly loved his Nash Healey, as he held on to it until August of 1985 when he sold it to his stepson, Col. William Hugill of Pasadena, CA. 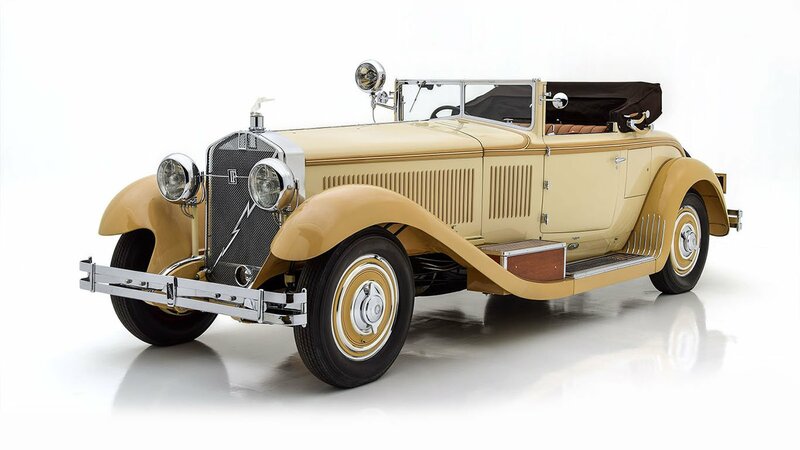 In 1993, Hugill sold the car to Jackson Brooks of Colorado. 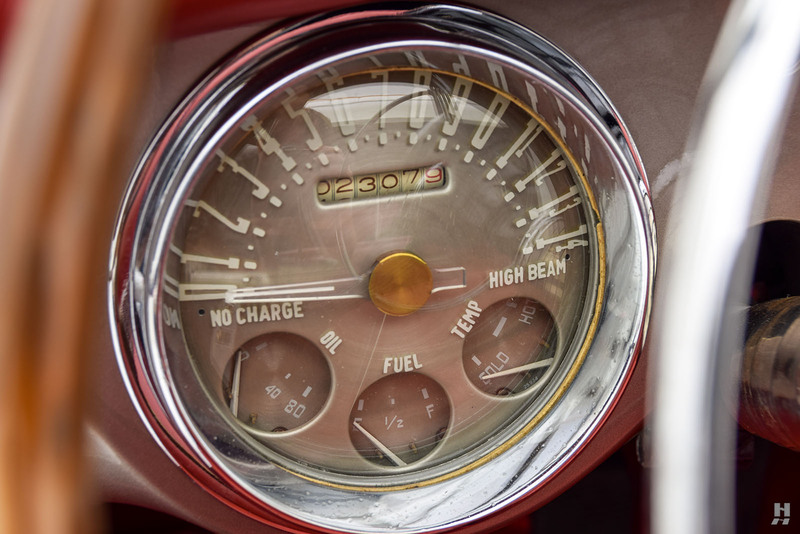 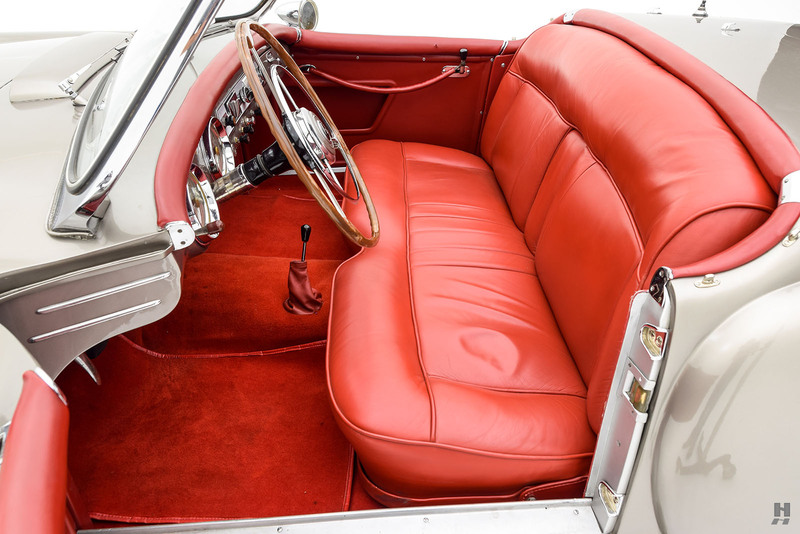 Correspondence between Brooks and Drew show that the car had been serviced in California by the legendary Max Balchowsky at Hollywood Motors in Los Angeles. 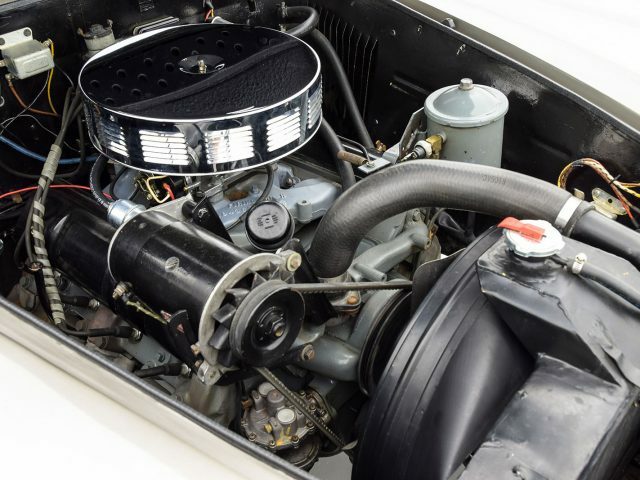 Balchowsky was the creator of the famous Old Yeller sports racing cars, and was the unofficial king of the engine swap – a sign in his shop famously declared “We can replace anything with anything”. 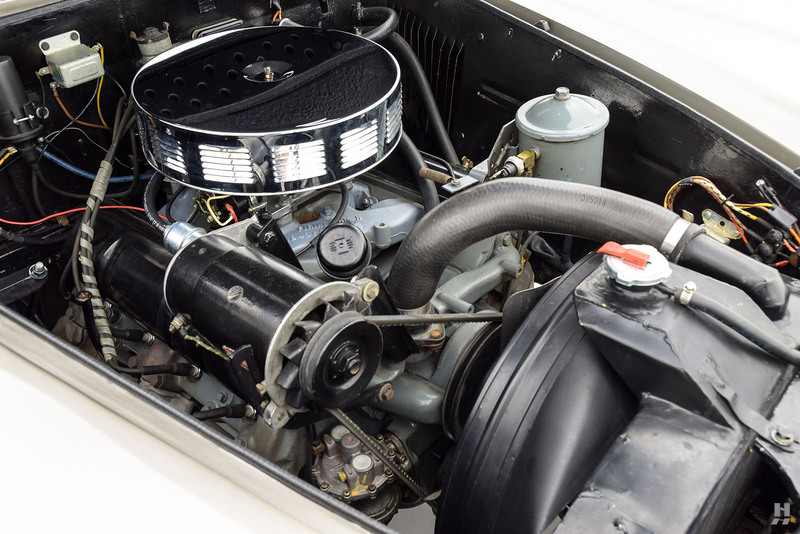 Based upon information in the history file, we have reason to believe the V8 conversion was handled by Balchowsky at some point early in the car’s life. 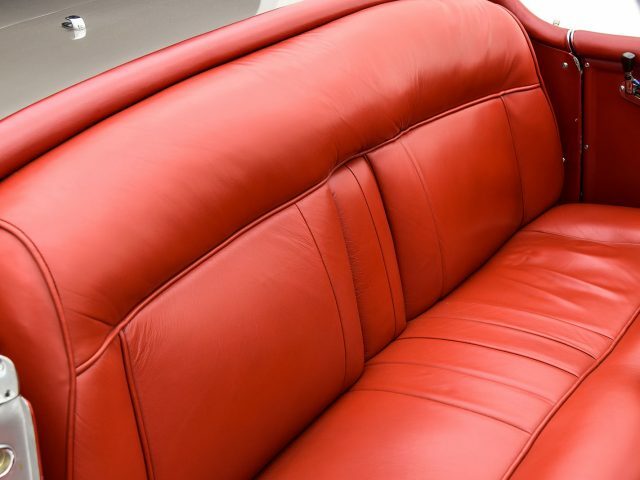 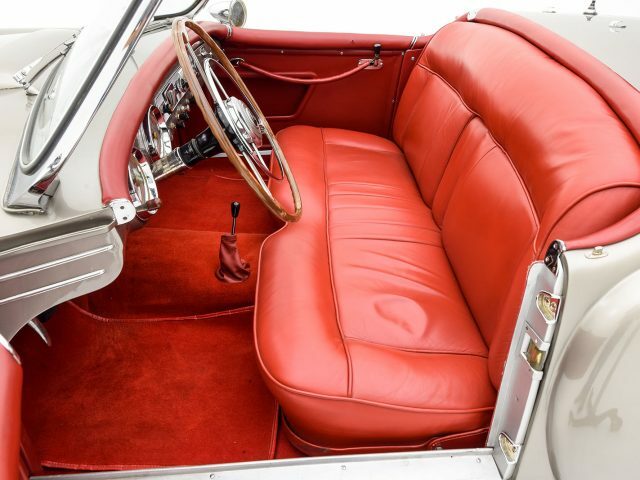 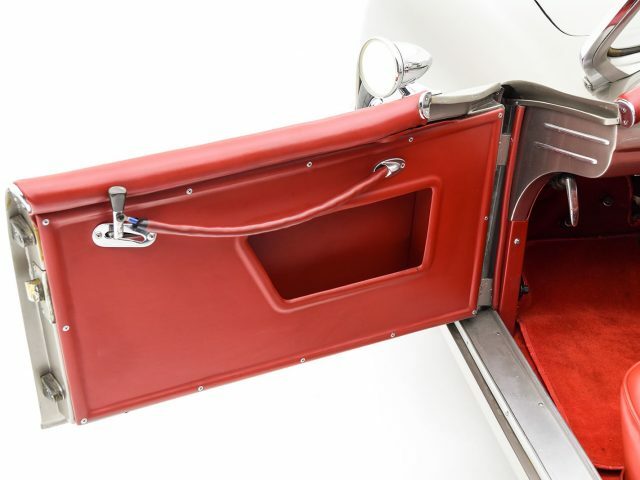 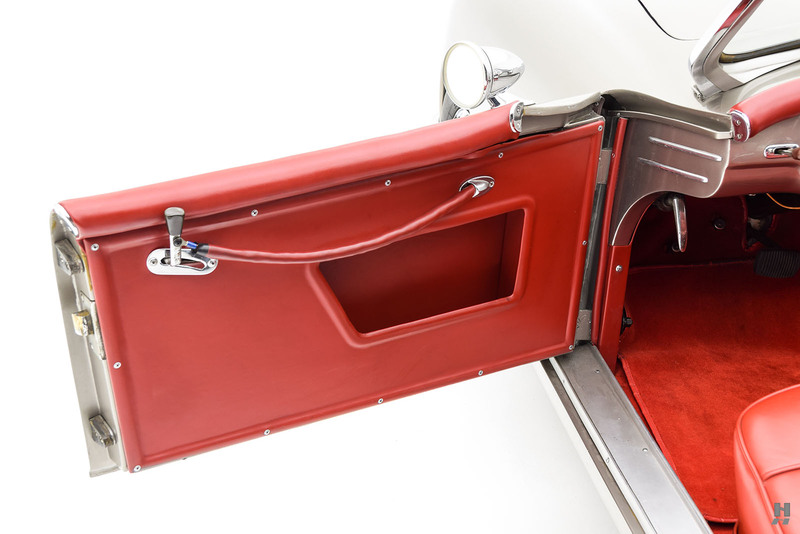 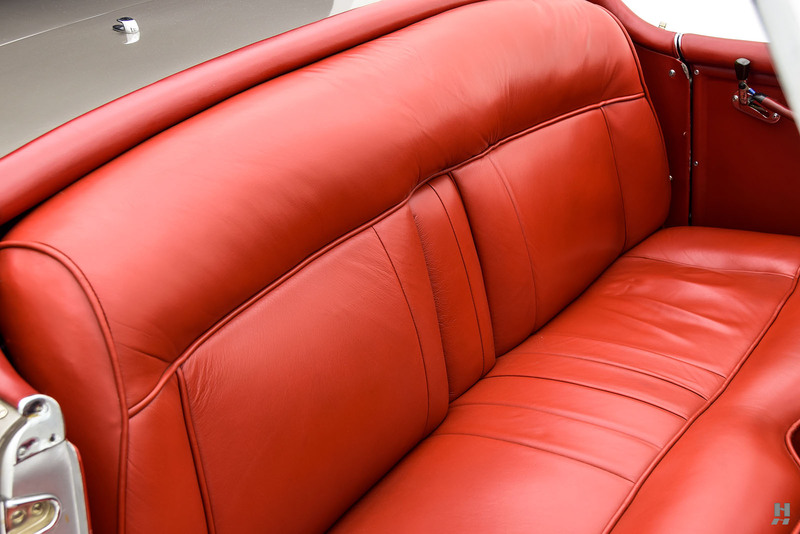 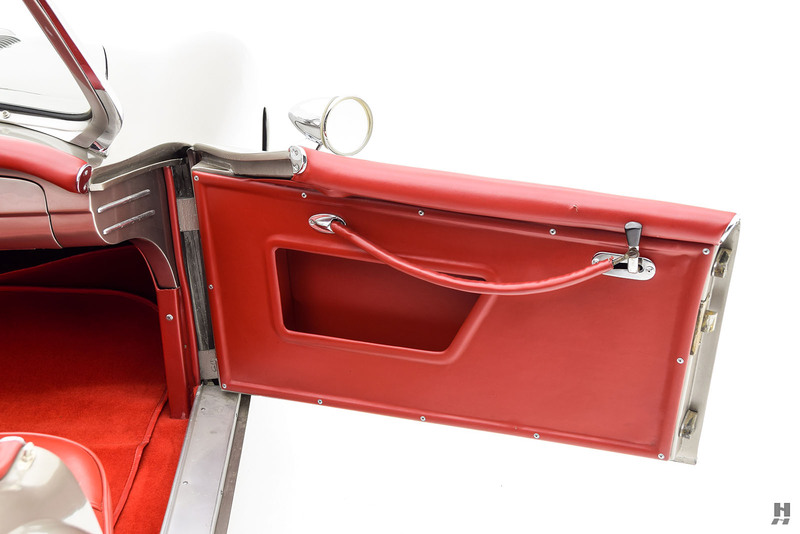 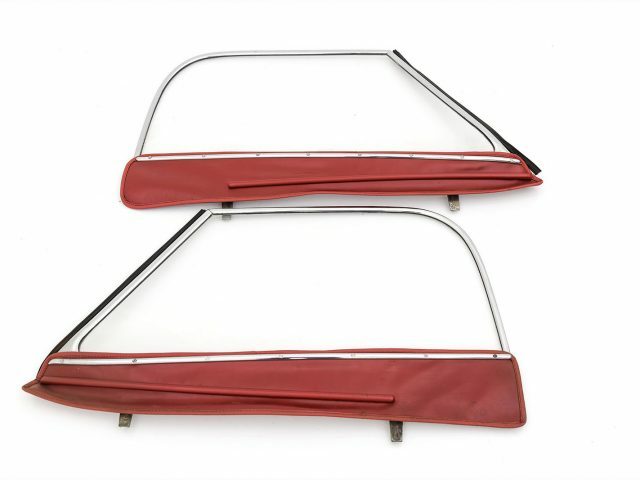 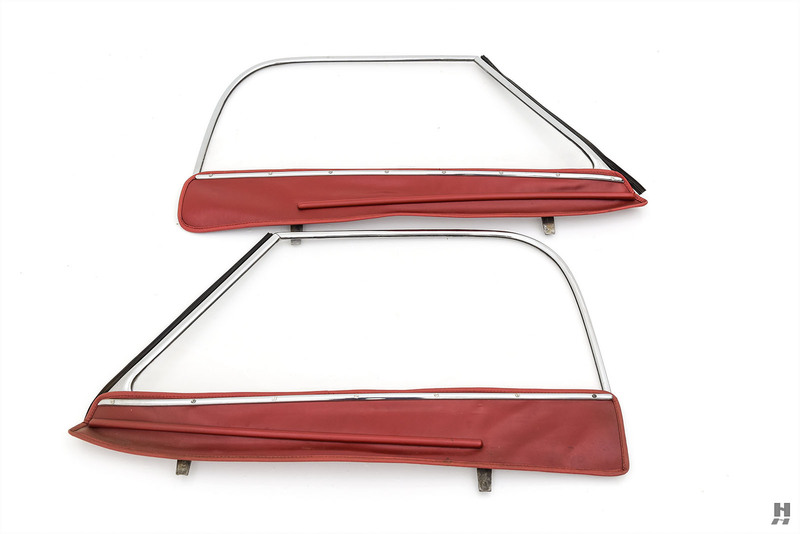 In the mid-1990s, Jackson Brooks would treat the Nash to a light restoration, which included a respray in metallic silver-gray, a freshened red interior and a new canvas top along with a comprehensive mechanical overhaul. 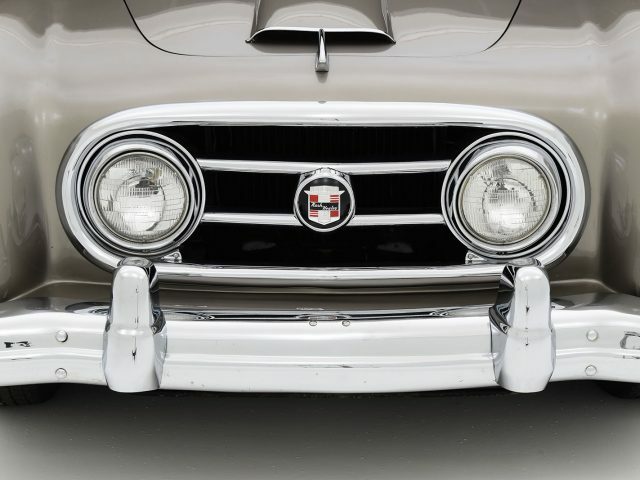 Brooks would enjoy the car at casual shows and on the road, before selling to its most recent owner in 1998. 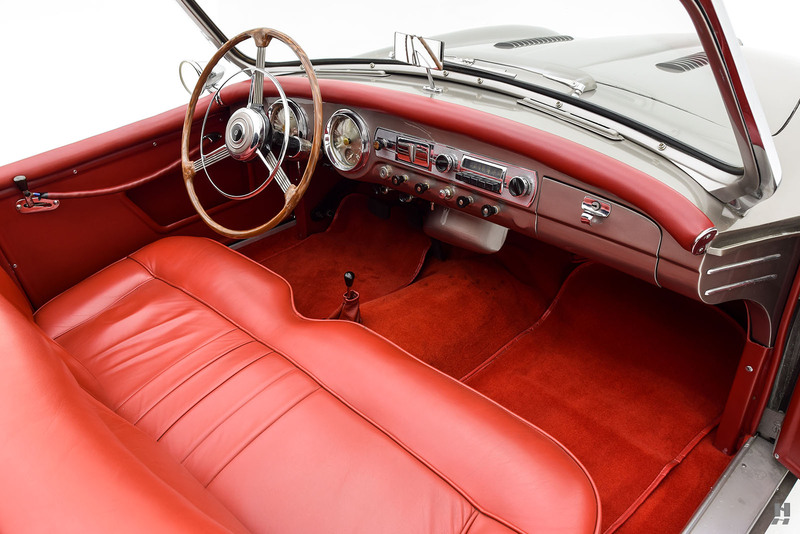 Recently out of a large collection of American sports cars, the Nash-Healey has been maintained in good, tidy condition. 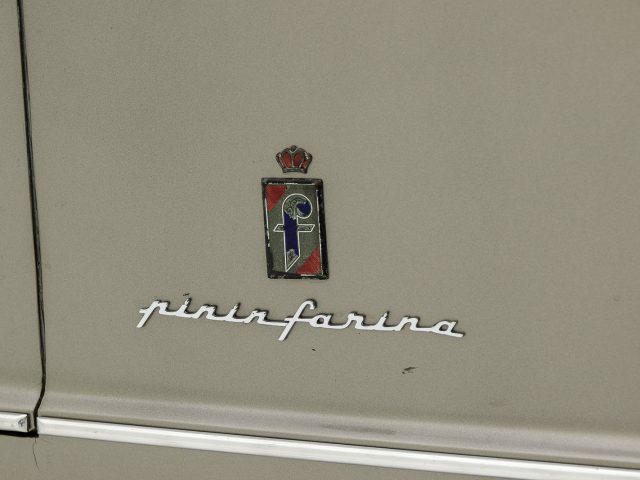 The driver-level restoration has held up well, and the Pininfarina body is straight with nice gaps and panel fit. 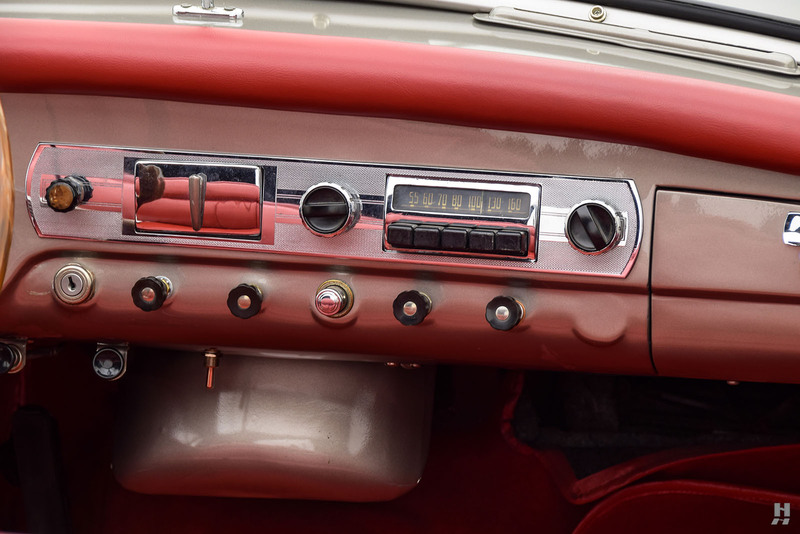 A few minor paint cracks are visible, but overall the car displays consistent finish quality and is shiny and attractive. 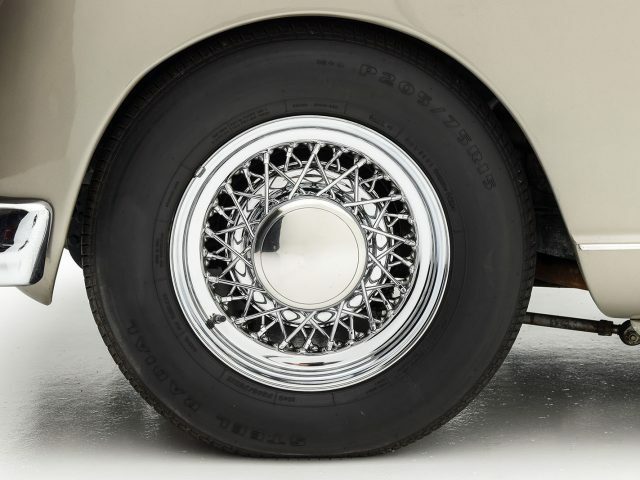 The meaty blackwall radials mounted on chrome wire wheels give just a hint at the boosted performance. 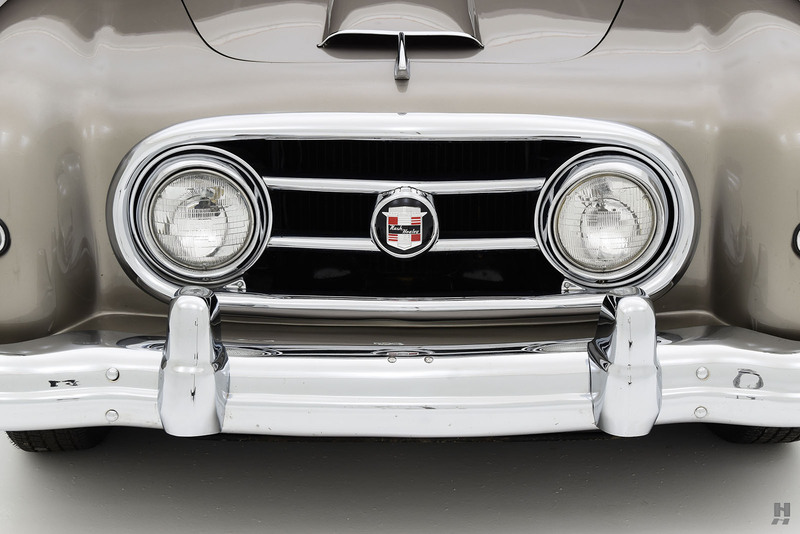 The original brightwork is straight and tidy with a light patina, though the distinct grille has been restored and is in fine order. 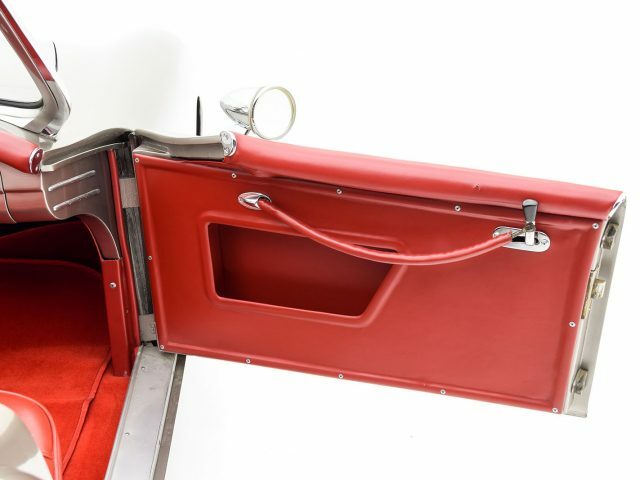 A pair of original glass window side curtains will be included. 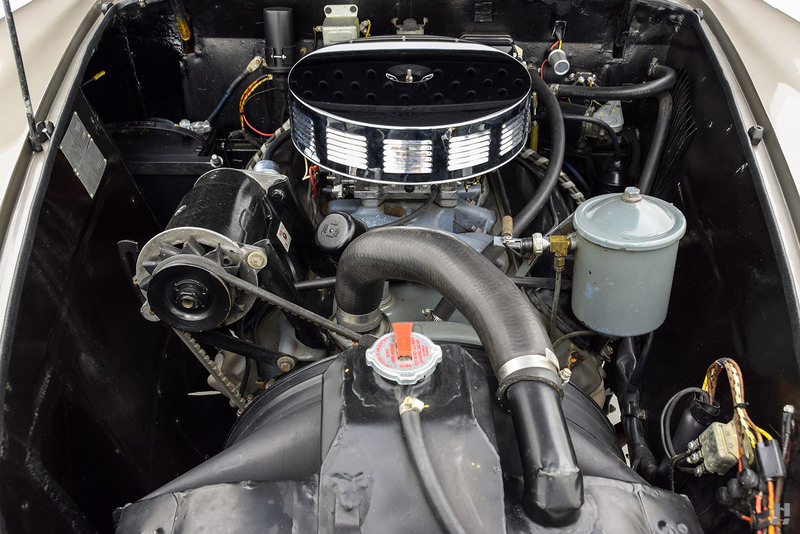 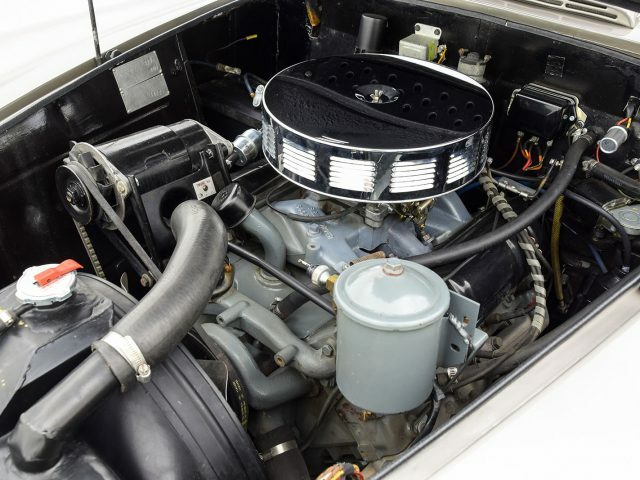 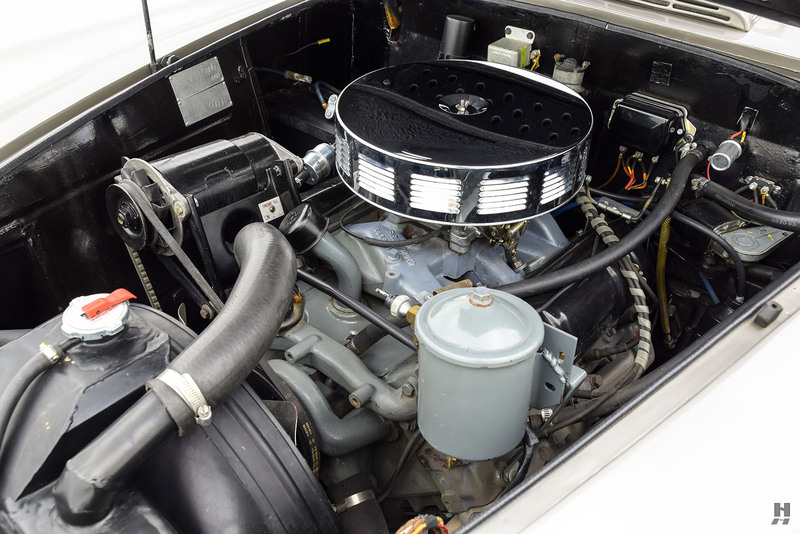 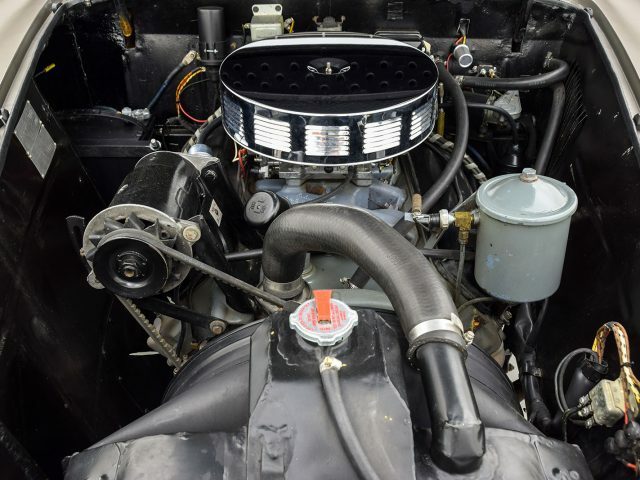 It runs and drives well, with a welcome boost in power courtesy of the 327 cubic inch V8, which sends power through a 3-speed manual gearbox with overdrive. 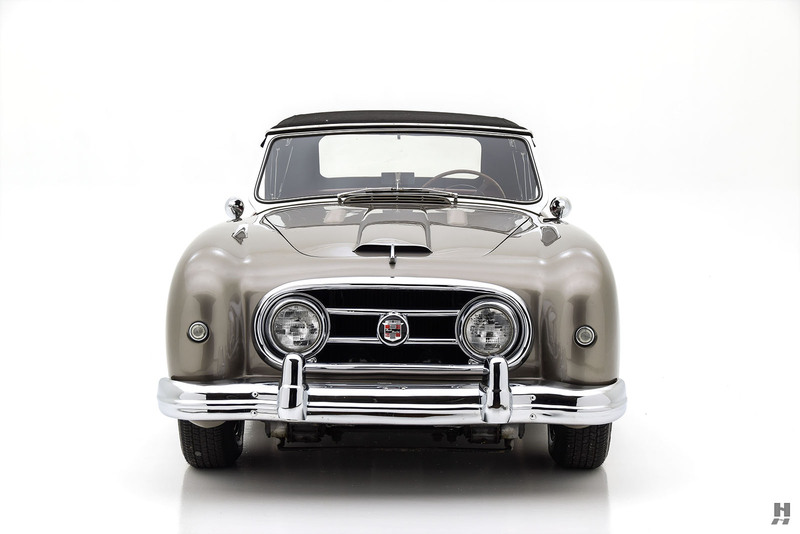 Having seen limited recent use, some minor servicing would be recommended before embarking on longer drives, but once refreshed this unique Nash-Healey would be an ideal choice for road events like the California Mille or Copperstate 1000. 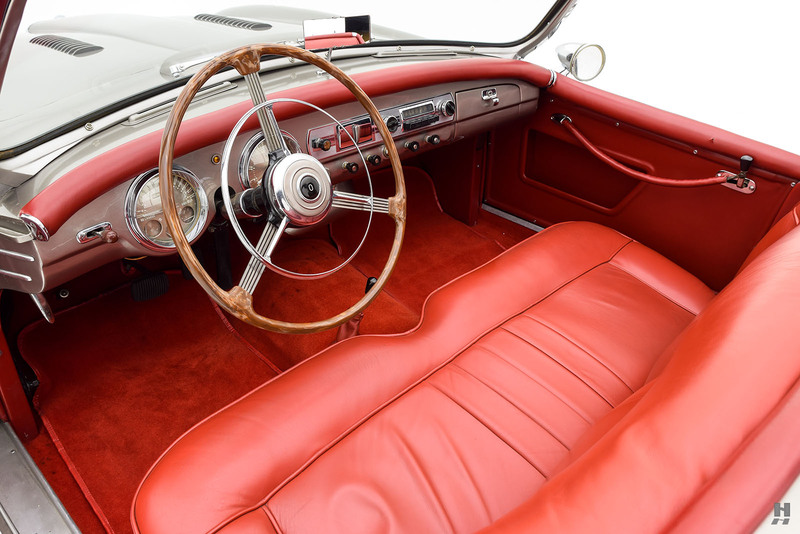 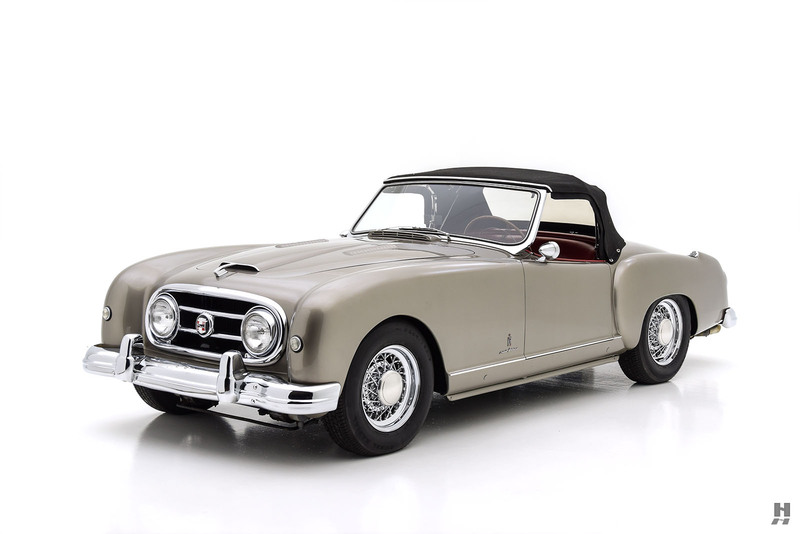 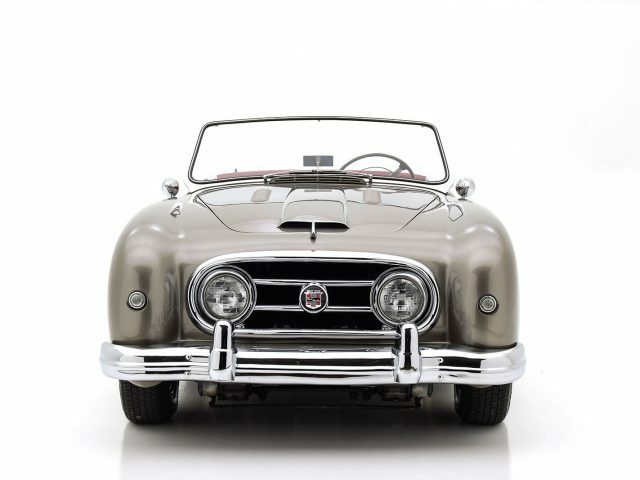 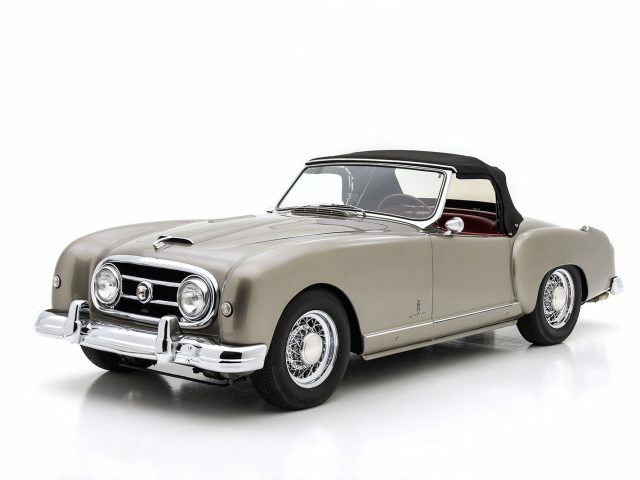 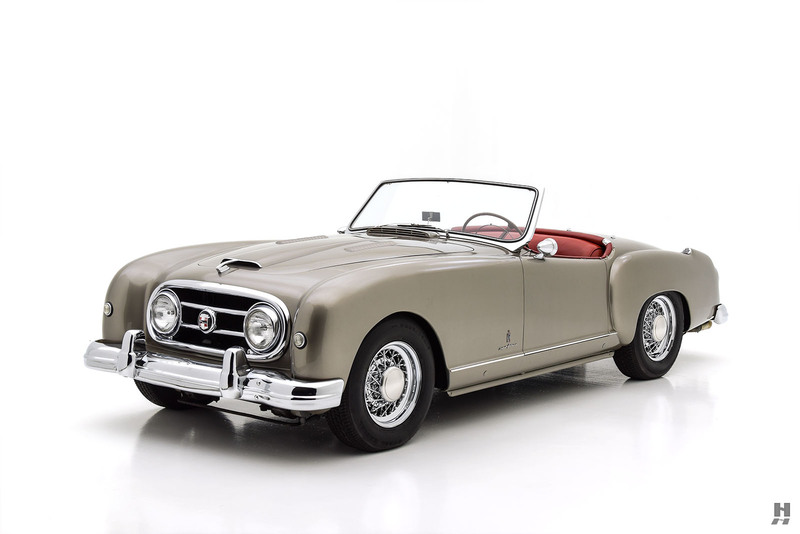 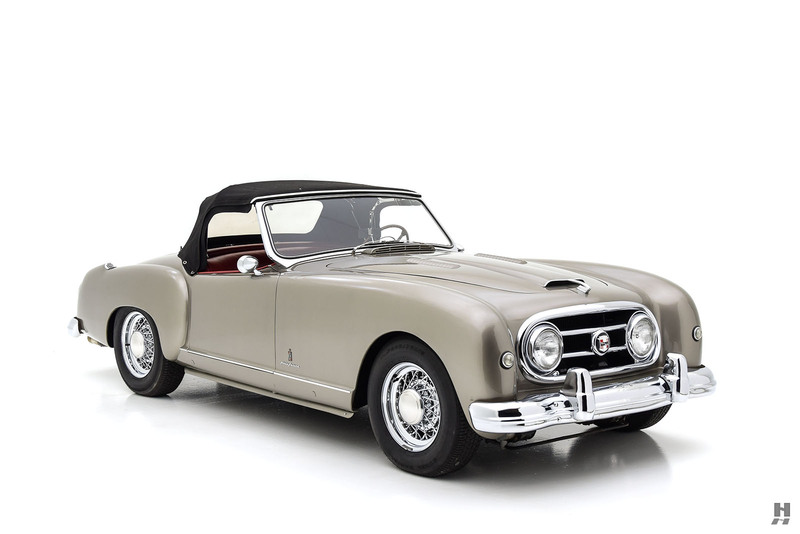 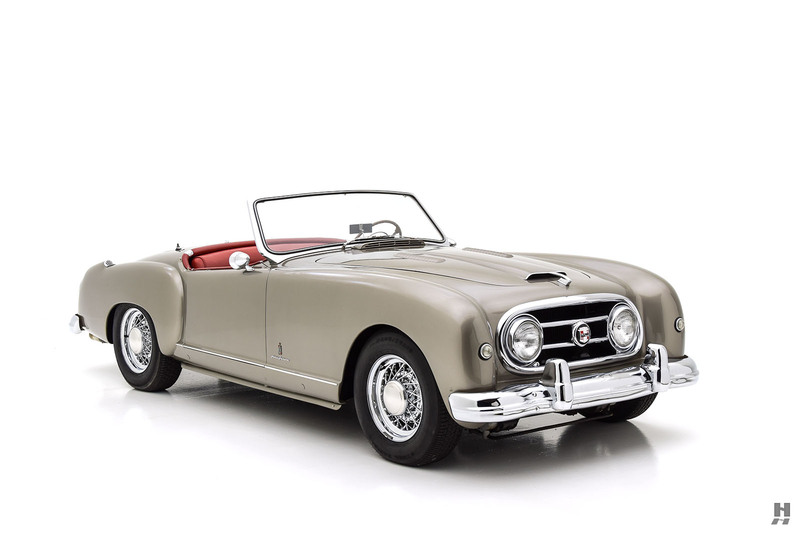 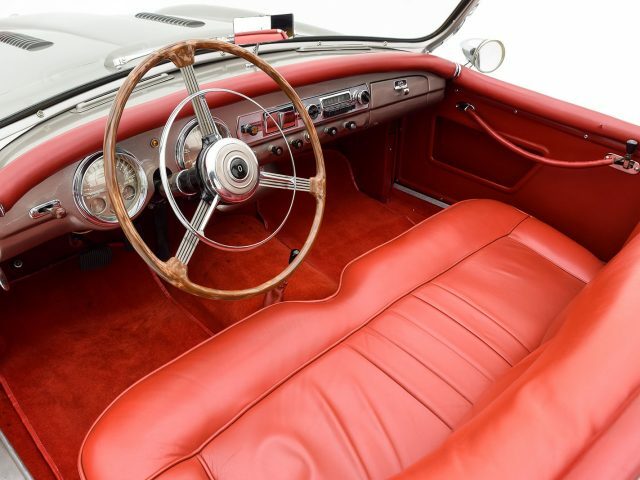 With its fascinating history and performance that matches the beautiful Italian looks, this Nash-Healey roadster is a great choice for the driving enthusiast and marque enthusiast seeking a unique and usable example of America’s first post-war sports car.